Hailing from Stockholm, Sweden, The Windupdeads are a band that was created out of the dissolution of Froid, consisting of Rickard Olsen (vocals), Jonas Westholm (bass), Marcus Von Boisman (guitar/backing vocals), and Fredrick Karlberg (drums). Formed in 2007, they had quick success when their single Reverse of Shade was featured on the TV show Gossip Girl. Their music has been praised for its emotionally charged lyrics, sweeping melodies, and anthemic choruses. They are regularly compared to artists such as Radiohead and Muse. 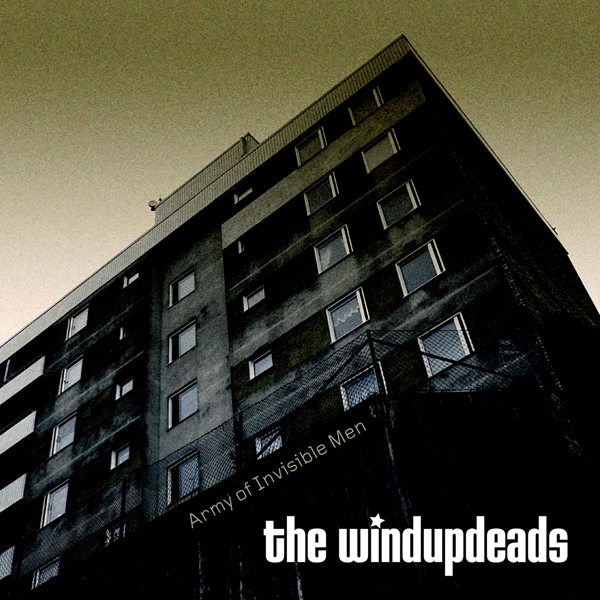 Army of Invisible Men, is their sophomore release and it features the song, Substitutes, which was used in an episode of One Tree Hill, includes Rickard’s best vocal work to date, and is loaded with the familiar, bright guitar melodies The Windupdeads so brilliantly craft. and i feel your love. like they say, you know. go there and then you will find me. You can punish me don't you worry. you can smash it in. don't let go if i tell you so. I want to know what it feels like now. is that wrong of me. Footsteps, knocking, open, come in. Phone calls, what's this, broken noses. there will be substitutes but that will end. I lit a fire in a house with my friends. We went upstairs and the forgot all about it. but they surrendered every time i was fighting. but for a second it felt i was burning. It's gone, cant be undone. And you know I love you now. You know i love you right. but i only saw her face for a second. cause she told me it was all in my head, so i closed my eyes and tried to admit it. You know i love you now. but for a second it felt like i was burning. forget what you've been told. a total wast of time, should be the last thing on your mind. can you believe what we have done. We made it here somehow. before we reach the end. We run like old, used cars. you will light up the sky. it's another to let it go. Let's try it once again, before we reach the end. don't want to be alone. its a long way home. I am what i am I didn't plan to get like this. if its coming form you, I can handle it. so you gave him your heart. and turned the radio up. The song got stuck into your head. and it floats around in there. resting his head on his hands. of the place you grew up so he gave it to you. You still have it somewhere. But you haven't looked for years. Trying so hard to get rid of, my fears. And I'll try to get better next year. I'll try to get better next year. Making my promises all over again. I'll be happy to pretend. time to get better and better now. thers is no one in sight. that proves that you're right. there's no one to blame.